There is much debate about the true origin of yoga, but what is most commonly accepted today is that it originated in India approximately 5,000 years ago. Yoga is commonly practiced not only in Hinduism and Buddhism but also as a means of physical exercise and meditation for over 20 million people across the world! Yoga holidays have become something of great popularity in the last decade, with many people wanting to escape the madness of everyday life to deepen their practice and well and truly relax both body and mind. So where better to retreat than the birthplace of yoga? India has an incredible range of yoga destinations for you to travel to; from the stripped-back, simple sanctuary to the super luxury holidays, catering to all levels from beginners to advanced. So, find out all about our top 5 yoga destinations for all you current and future yogis and yoginis out there. 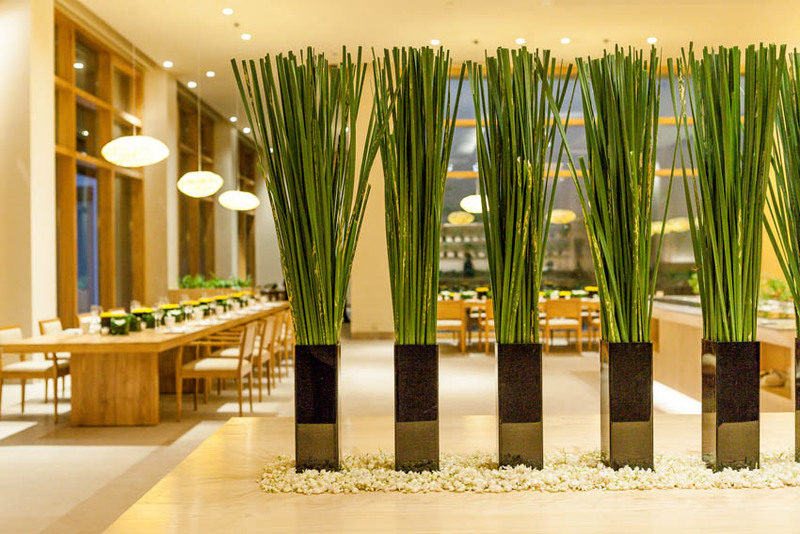 Situated just outside of the lively tech hub of Bangalore in South India, this retreat is one that gives guests a sincerely peaceful backdrop. Following the Ayurvedic yoga principles, you will be served excellent vegetarian food on site as well as have access to a full rejuvenation spa, which has a range of massages, and treatments on offer. But it’s the in depth yoga programme that people travel here for. Catering from beginners through to the experienced yogi, teaching Hatha and Ashtanga Vinyasa yoga in amazing outdoor locations, urging guests to try out meditation. Nestled under the Himalayas, Deharadun in Uttarakhand is a resort specialising in holistic wellbeing with elements of Tibetan healing, fitness, spa therapies, Ayurveda and more to create a space of true bliss. 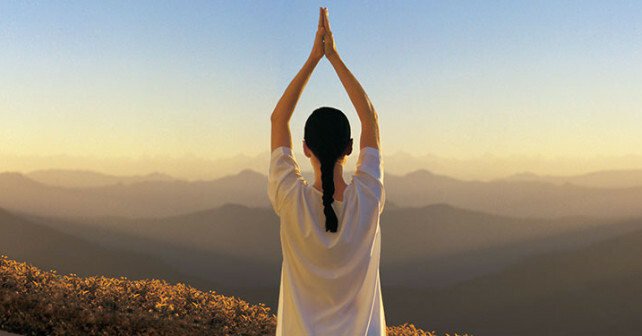 The yoga programme is the heart and soul of the resort; teaching asana, meditation and hatha yoga. You can also get private, custom sessions too. 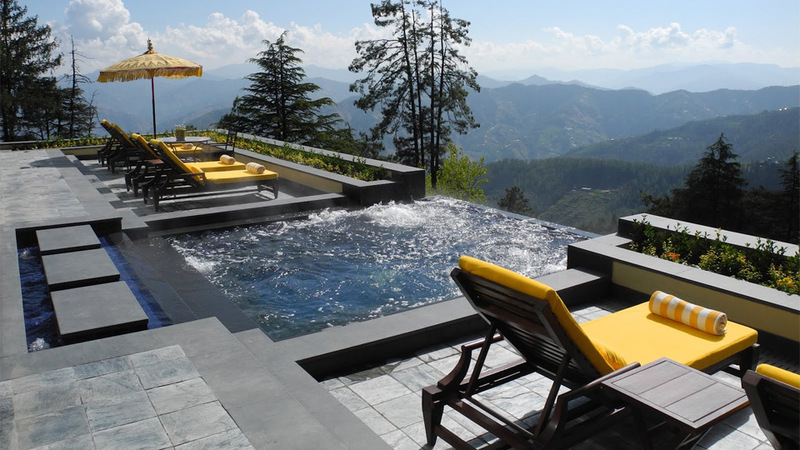 At the Ananda spa you will be surrounded by incredible natural beauty amongst the expanse of the Himalayas. 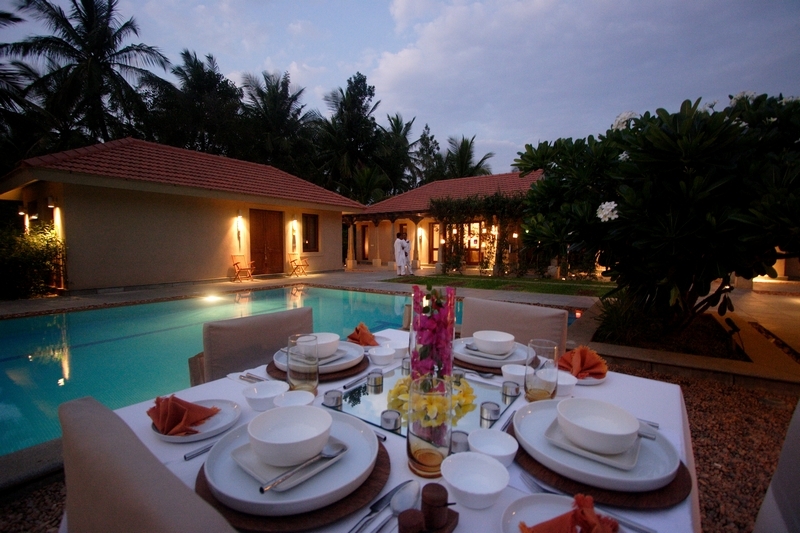 Very often named, as one of the best yoga retreats in India, this wellbeing escape is all encompassing. Choose from over 80 treatments in the spa and enrol yourself on one of the five yoga programmes; Hatha, Gatyatmak, Kriya, Pranayama and Advanced Pranayama with Bandhas. 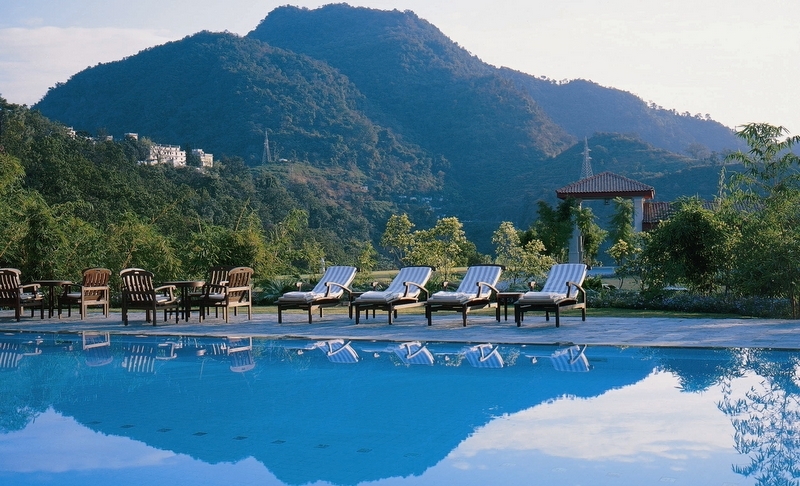 Settled in the snowy heights of the Himalayas is the luxury Oberi yoga resort. Not only will you be blessed with stunning views and lavish rooms but outdoor jacuzzis, steam bathing, river rafting and hiking are also available to visitors. The wealth of yoga classes available at this resort will surprise you. With everything from the beginner to advanced yoga, all levels are taken into consideration. Amongst the coconut and palm trees, the ocean breeze and beautiful sandy beaches is the SwaSwara, known as one of India’s top luxury yoga retreats. This wellbeing escape is run by the CGH Earth and situated on the coast of Karnataka just north of the southern state, Kerala. 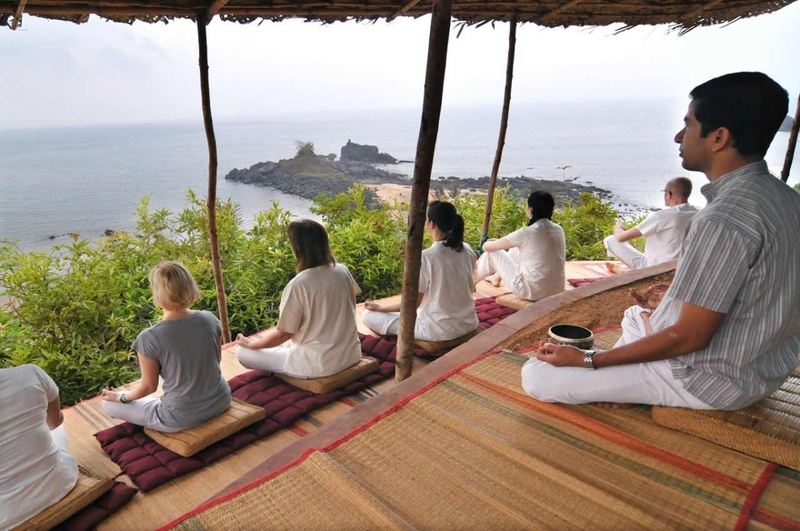 As well as experiencing Ayurveda, meditation, swimming, outdoor excursions and locally grown vegetarian cuisine, the yoga classes are top notch. The individual programme brings together postures, mantras, breathing techniquues, meditation and other rejuvenation aspects.